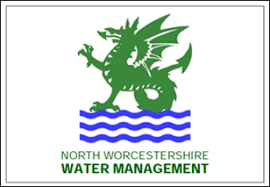 The Bournheath Village flood alleviation scheme was commissioned by a partnership between North Worcestershire Water Management (on behalf of the District and County Council) and Severn Trent Water Ltd (STW). This was because Fairfield Road in Bournheath as well as the wider surrounding area has experienced numerous flood events with approximately 10 properties known to flood regularly. There are several sources of the flooding in Bournheath; primarily the risk comes from restrictions in culverted watercourses and the lack of capacity in the sewer network which takes a large catchment area upstream and also takes lechate from a landfill site. 10 reports of serious flooding have been recorded by Bromsgrove DC between September 1976 and June 2012 and some residents also report floods dating back to the 1960’s and 70’s. Richard Allitt Associates undertook an integrated catchment study for the Bournheath catchment, located in the north west of Bromsgrove. There was no existing model for the area so we had to build one from multiple data sources including previous surveys, old records and plans, LiDAR and rainfall data. The study has been undertaken using a range of data collection methods to verify the shape, size and location of the surface water flows in the catchment. This was then imported into InfoWorks ICM which was used to model the watercourses, drainage ditches and 2D overland flows. Along with this the sewer network from the Bromsgrove model was also imported to allow for a complete analysis of the catchment to be undertaken. As part of the study a number of gully inspections, water course surveys and drainage ditch surveys were carried out which were then used to upgrade the models and identify potential issues in the catchment. The pluvial flows include the Elmbridge Brook that flows as an ordinary watercourse from its source in Fairfield in a Southerly direction through a predominantly open channel towards the village of Bournheath. The watercourse is a mixture of open channel and culverted sections. The Elmbridge Brook is also connected to by a storm system in the catchment. This is located along both Fairfield and Dodford Road and connects to the brook at two locations, one on Dodford Road and the other on Doctors Hill junction. One of the unique features of the recent flooding was that flood water built up in the rear gardens of the properties on Fairfield Road and the residents took action to demolish the wall that was holding the water back. This was included in our model so that the wall collapsed at a predefined height so that the flood propagation could be matched. Following stakeholder meetings between the Client, STW and the local Parish Council where the model was reviewed and signed off as accurate, the next stage was to develop a number of solutions to reduce the flooding for up to a 1 in 75 year return period. Options assessed included offline storage tanks (large pipes and egg crate systems), flow diversions, storage bunds as well as road profiling.